ScareLA’s claim to fame is that they are the first convention to bring Halloween to the summer. With 2017 as their fifth year running, from Friday August 4 to Sunday August 5, I honestly expected more than just a move to a bigger space. 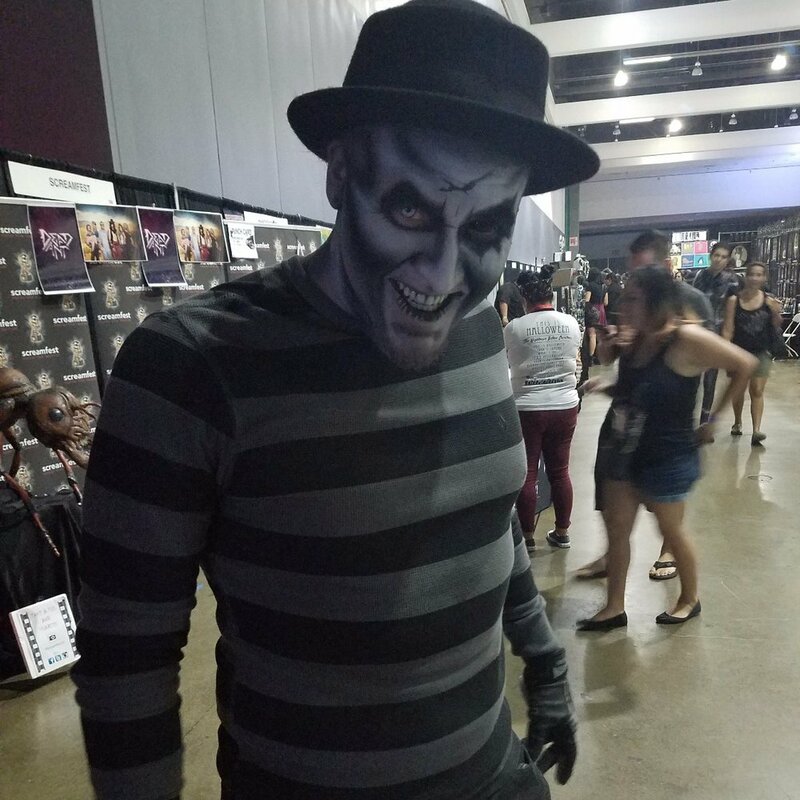 The City of Los Angeles even honored the event by dubbing that Sunday as Official ScareLA Day, yet the convention itself seemed unaware of the monumental milestone. This is my absolute favorite convention, since it’s inception, so I maybe skewed in my view, but compared to previous years, this one fell short. The event has been moving up since it’s infancy in 2013 when it was held at The REEF LA Mart, where my love for it was gained. As it’s popularity grew, it was held at the Pasadena Convention Center. This year, however, they graduated to The Los Angeles Convention Center. Of course when I heard the news my initial reaction was joy as I figured, more space means more Halloween. Upon entering the hall, however, more space just looked like more space. Granted it’s always nice to have room to walk, nevertheless the energy appeared subdued. They did make attempts to branch out their design, though it appears they did so by mimicking Midsummer Scream’s Hall of Shadows. The hall was divided to incorporate independent haunts, a stage for performances, and a private mini circus with a separate fee to attend. This area also had a scare floor for the infamous Decayed Brigade’s sliding show. The main hall of course had its vendors, workshops, movie screenings, and some interactive haunts. 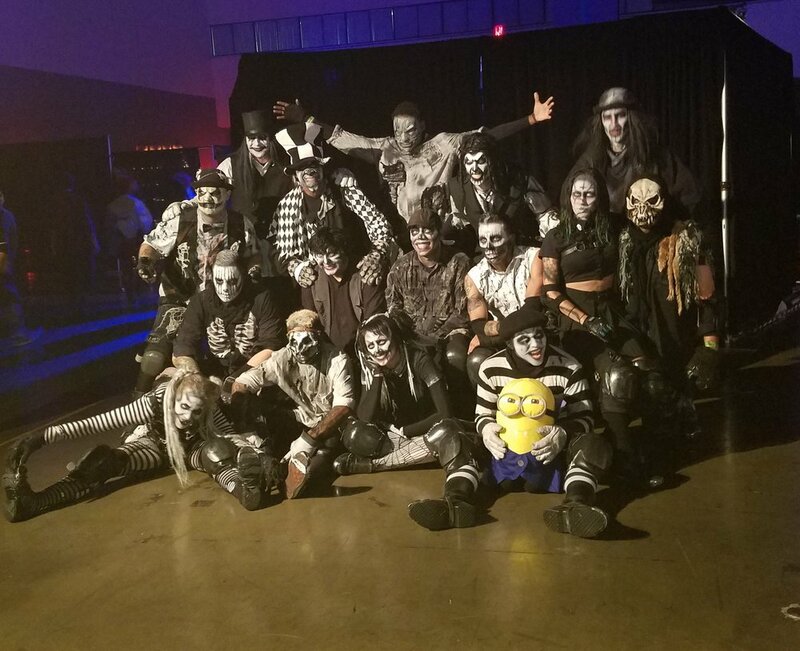 ScareLA may have come first, holding the original scare floor for Decayed Brigade, still it’s similarities to a convention only in its second year says more about Midsummer Scream. As for the panels, I feel Midsummer Scream beat ScareLA this year since, Knott’s Scary Farm, The Queen Mary’s Dark Harbor, and Six Flags Fright Fest were not in attendance, even just to promote and advertise their haunts. I thought it was a little fishy that they weren’t there for the sake of business promotion. 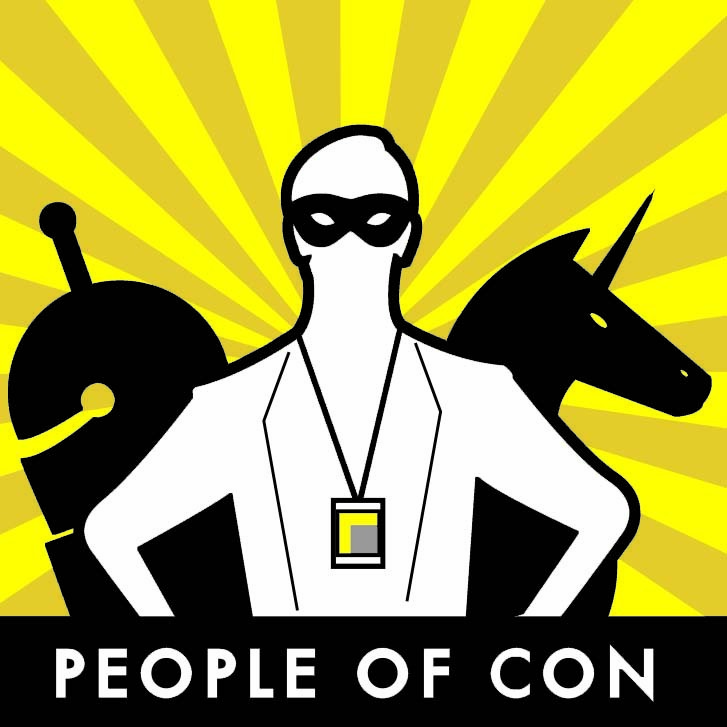 It might explain why the con was quiet or the fact that there was actually room to evenly spread out. Aside from these marks, there were many highlights that made the experience worthwhile. My main focus of interest was to watch the sliders of Decayed Brigade before they head back into the fog of Knott’s Scary Farm. Next to the scare floor these monsters performers also had booth. The team was selling gear like t-shirts, hats, and beanies, all sporting their logo. Stationed at the booth was also their make-up artists who paints their faces for shows. I took the opportunity to get a full face of makeup for only 20 bucks. Choosing from my favorite team members, I got the menacing eyes of Spatz and the creepy smile of The Sequel. Other encounters included the Annabelle interactive photo op, allowing guests to take a picture with the famed haunted doll. Another frighteningly area was the IT promotional VR experience on a school bus. Returning for a second year was also Ztag, a vergence of schoolyard tag, scavenger hunt, role playing, all with a zombie infection theme - let's not forget the LEDs. This took place throughout the entire convention floor. These variety of activities made up the most of the weekend’s happenings. One interactive experience that I participated in with my fellow attendees was a zombie survival game. Think flag football without the football, and instead of humans the other team is full of zombies. Players were given foam weapons to tap zombies three times to make them stop. Of course Zombieland taught us that you must always double-tap, so another three shots were needed for these zombies to die. If all your flags were ripped off you, you died. I would say the zombie survival game was the most memorable moment of the weekend. It got the adrenaline running, and kept me out of breath. I admit there’s something about getting chased by an undead bleeding guy that will really make you feel alive. Despite the mishaps, I will stay a true fan of ScareLA as it has always been my original medicine for Halloween withdrawals. Everyone has an off year, and there is a good chance that because they are my first, I always raise their bar higher. Hopefully next year they will fashion more independent haunts, invite a few more creators for Artist Alley, and feature the missing panel surprises we fans desperately desire. Site Note: My guilty secret is that at these conventions I get to take pictures of scantly attractive haunt guys that are around my age. Check out the video up on my Instagram if you want know which freaky scare actors got my blood pumping.